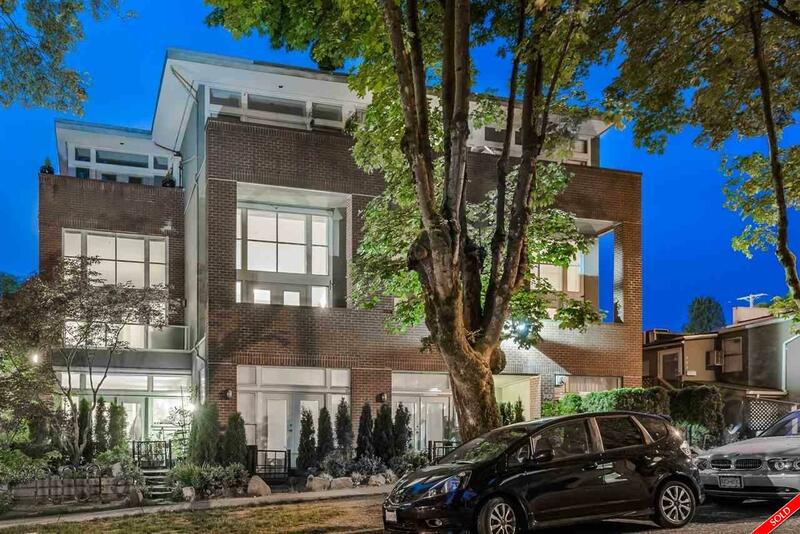 It's my pleasure to present this COMPLETELY RENOVATED LOFT apartment, located at the gates of SHAUGHNESSY on a beautiful tree-lined street, in one of Vancouver's most prestigious neighbourhoods. The "SIMON LOFTS" are an exquisite collection of 19 homes that RARELY BECOME AVAILABLE to purchase. This EXTREMELY SPACIOUS 925 sq ft unit features: soaring 16 ft CATHEDRAL CEILINGS, covered patio, professionally renovated throughout, a KING SIZED LOFTED BEDROOM with his/her closets plus a BONUS 2 PIECE ENSUITE, engineered hardwood, ceramic tiles, new kitchen with Caesarstone counters & stainless steel appliances, gas fireplace, plus a SPECTACULAR OPEN CONCEPT LAYOUT! All this just steps to shops, transportation, DOUGLAS PARK, plus easy access to nearby VGH, Cambie Village, & King-Edward SKYTRAIN! !